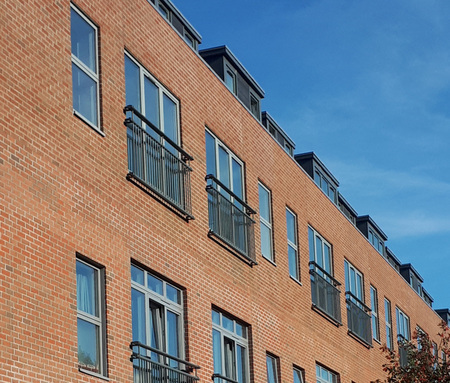 The Multi Metals range of aluminium Juliet balconies were designed to be straightforward to fit and level, helping you to save time and money at the installation stage of your development. The balconies are supplied fully assembled and with comprehensive instructions for fixing to brick, concrete or timber. They are connected via a male and female extrusion system that allows for the balcony to be quickly located and then bolted into place. Made from high-quality aluminium extrusions, the French-style balconies are just half the weight of steel equivalents, helping to improve health & safety on site. Despite their lower weight, the unique design of the Belgrave and Berkeley means they are as strong as steel products and fully compliant with BS6399. Our Juliet balcony range is available in a selection of standard sizes that match common window sizes, or in bespoke widths cut to fit the precise specifications of your new build homes or refurb project. As well as delivering savings on installation and lifetime maintenance costs, the Belgrave and Berkeley aluminium Juliet balcony ranges are also attractively priced. They are significantly cheaper than stainless steel alternatives and comparable with painted galvanised. In short, you can expect equivalent performance with stainless for the price of galvanised and painted steel. 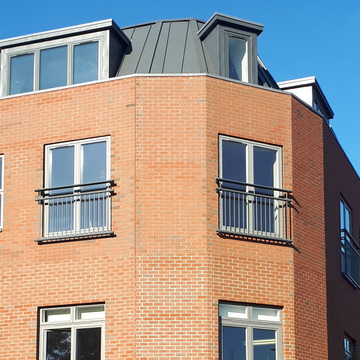 Aluminium Juliet balconies deliver cost and time savings. Choosing the UK-manufactured balconies will also give you confidence that your buyers / tenants won’t have any corrosion issues to fix. 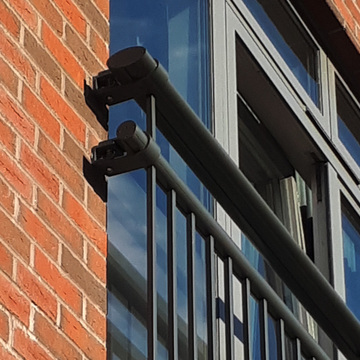 Our balconies have no maintenance requirement due to their exceptional corrosion resistance; aluminium does not corrode in the same way as galvanised and painted steel and does not tarnish in the same way as stainless steel. Even the paint has a life expectancy of 30 years. Our aluminium Juliet balconies will not suffer from corrosion or tarnishing, unlike these steel products. Aluminium is 100% recyclable, making the Belgrave and Berkeley Juliet balcony ranges an environmentally-friendly choice. Multi Metals can organise quick delivery of standard sizes in Matt Black, White and Grey to anywhere in the UK. Balconies with custom sizes and finishes are made to order, so delivery times will vary. Contact us today to request a quote for aluminium Belgrave or Berkeley Juliet balconies for your development.